Bruce Springsteen is an American singer, songwriter, and guitarist born in 1949. He is also known as "The Boss". His rock is known for its poetic lyrics and traditional American sentiments, particularly centered on his native state of New Jersey. A big part of Bruce Springsteen`s success is thanks to the E Street Band, the band with who he records and tours. Bruce Springsteen and the E Street Band are known for their particular sound and their professionalism on stage, performing concerts lasting over 3 hours. 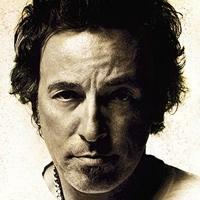 Vote and help decide which of Bruce Springsteen`s albums were the greatest. 5 Bruce Springsteen - Greetings from Asbury Park, N.J.